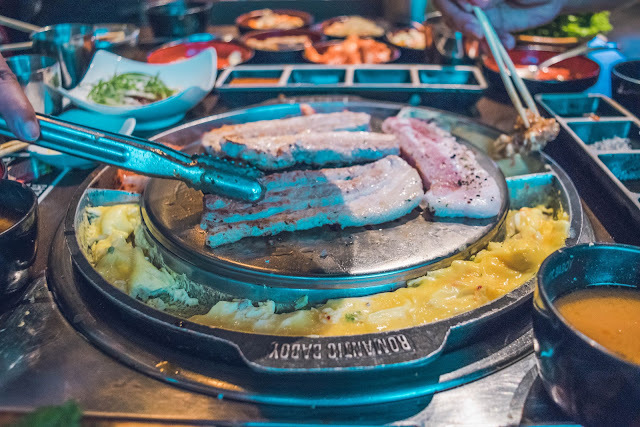 Korean Barbecue is one of my absolute favorites. I love it so much that I eat it at least twice a month. 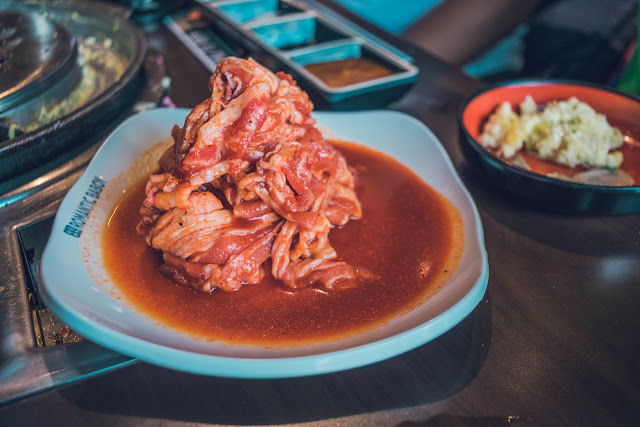 With multiple joints popping up all over the metro, I had to constantly venture out to find the best Korean BBQ place near me. 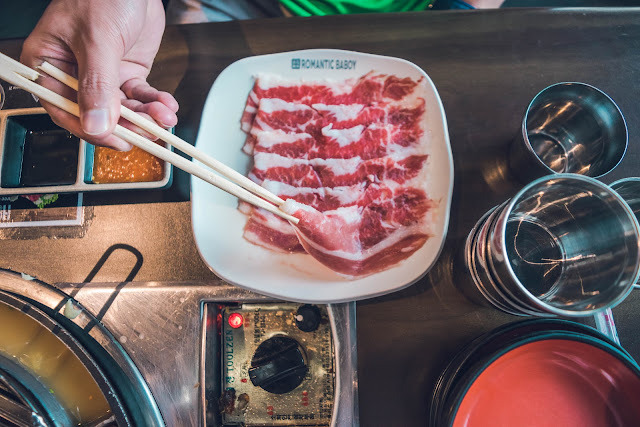 One restaurant that captured my attention was Romantic Baboy, a newly-established unlimited Korean BBQ restaurant in Quezon City. Romantic Baboy opened its doors to the public last January 19, 2018, with its first branch at Tomas Morato. 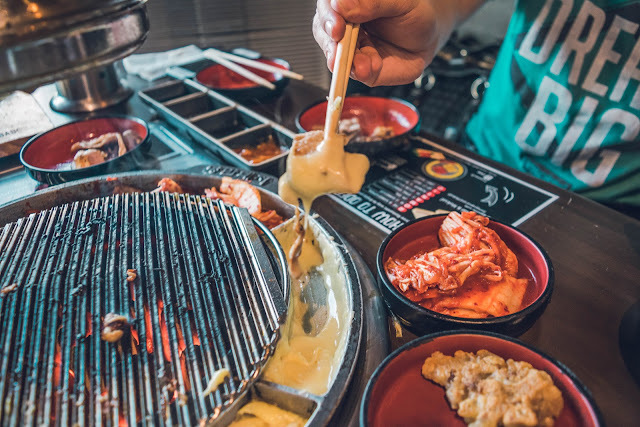 They’re one of the first Korean Barbecue restaurants to offer unlimited pork and beef with cheese. 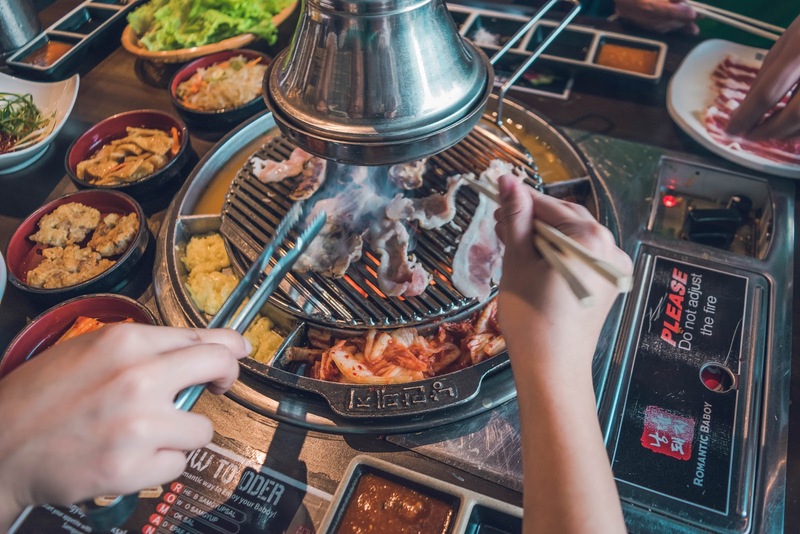 When I asked the owner how he would say that their restaurant is different from others, he said, “We adopted an authentic modern-style Korean BBQ place with our own meat cuts and recipes. 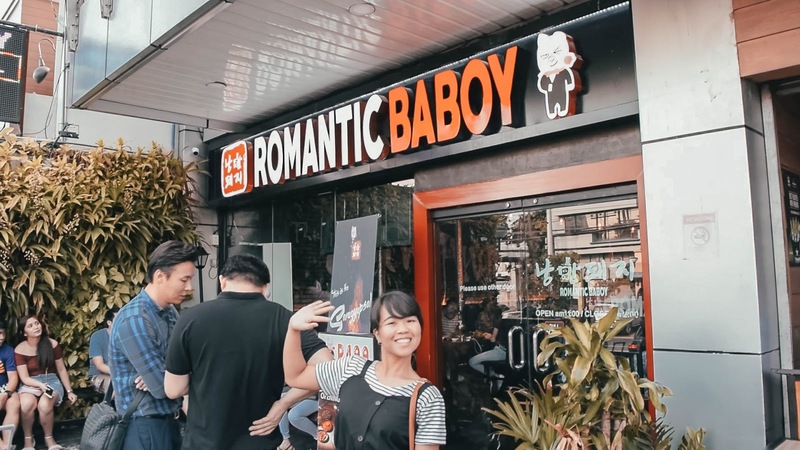 We wanted a place that will appeal to Filipino customers so we named it ‘Romantic Baboy’ instead of the usual Korean restaurant names. 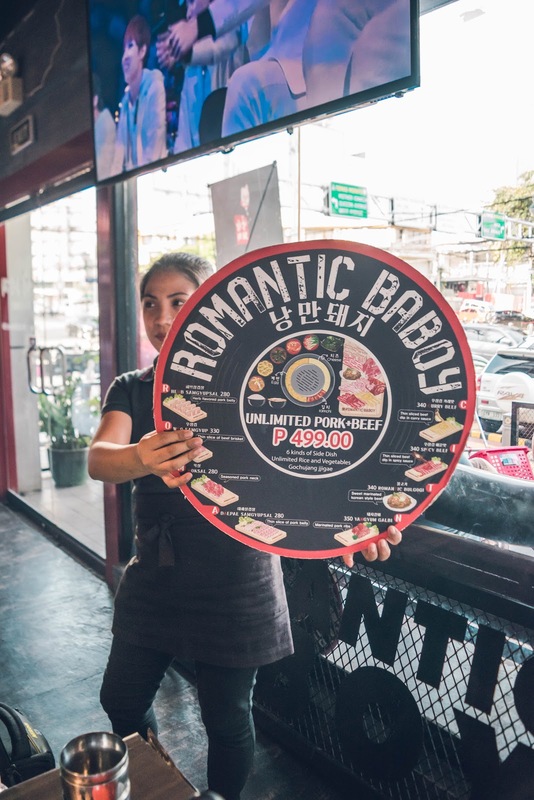 In just a few weeks after opening, Romantic Baboy became very famous because of their unlimited pork and beef with cheese for only 499 pesos. Not only that, they also offer a no-time-limit-policy! Sulit na sulit? Definitely! Romantic Baboy has a modern Korean ambiance. 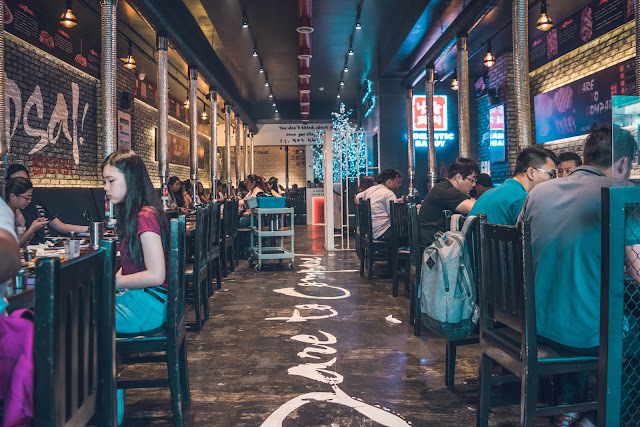 Entering the glass door opens up to a room with black wooden chairs and tables, personalised grill with Romantic Baboy’s logo, wall design with Hangul - it was an interior that feels inviting. And because Filipinos are going gaga over anything Korean (KPop and Drama), the gigantic HD TV playing KPop songs was a nice addition. 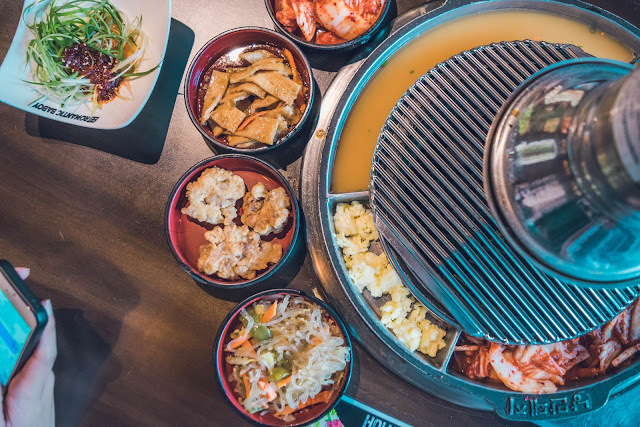 Like any other Korean BBQ experience, we automatically received tiny bowls of side dishes delivered to our table. 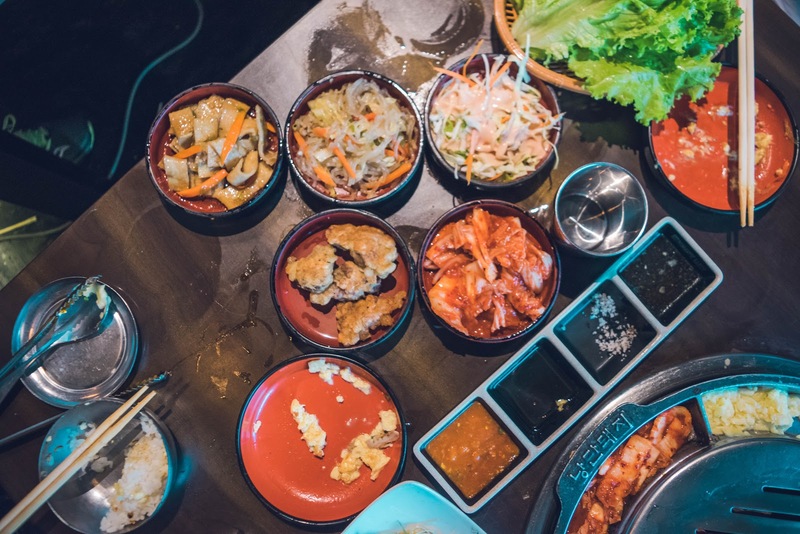 They're called banchan. Depending on the restaurant, the amount of banchan you’ll get varies, but in Romantic Baboy, we got 6 side dishes - Kimchi, Coleslaw, Scallion Salad, Stir-fried Fish Cakes, Fried Chicken and Jap Chae (Korean glass noodle stir fry). If you're a group, these side dishes won't be enough so you can always ask for more. They’re free. I could not remember how many times I asked for a refill when I first ate at Romantic Baboy. Haha! 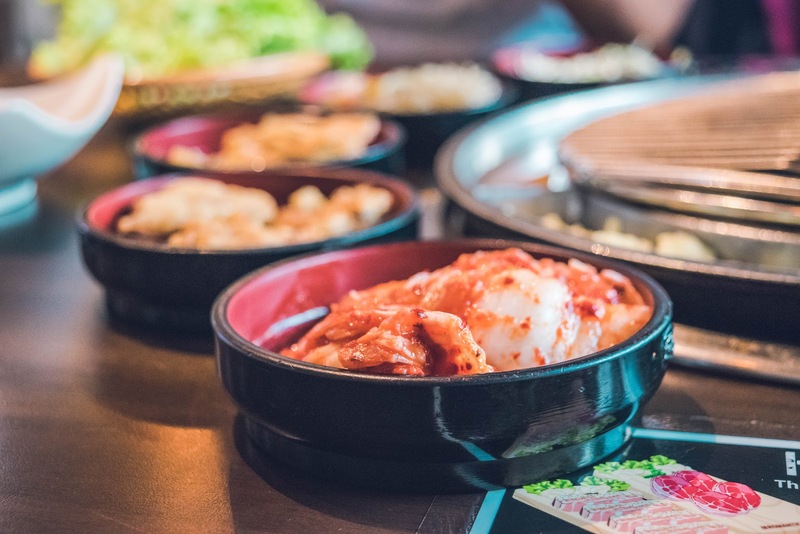 Unlimited rice and Gochujang Jjigae (sweet-and-spicy fermented red pepper soup) and unlimited green ice lettuce, which we used for our traditional Korean BBQ wrap, were also provided. And of course, it won't be a complete Korean BBQ experience without the Ssamjang (thick, spicy paste made from fermented bean) the sesame oil, salt and pepper sauce. 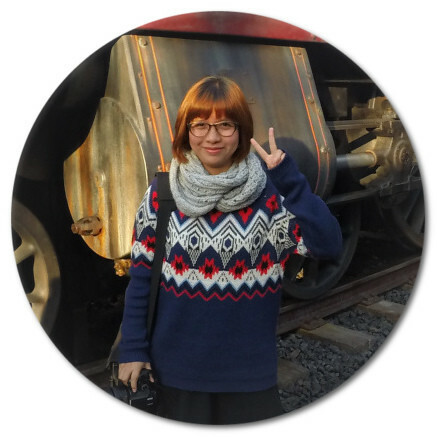 Want to eat like Weightlifting Fairy Kim Bok Joo? If it's your first time in a Korean BBQ, don't eat too much rice or else you will get full early! 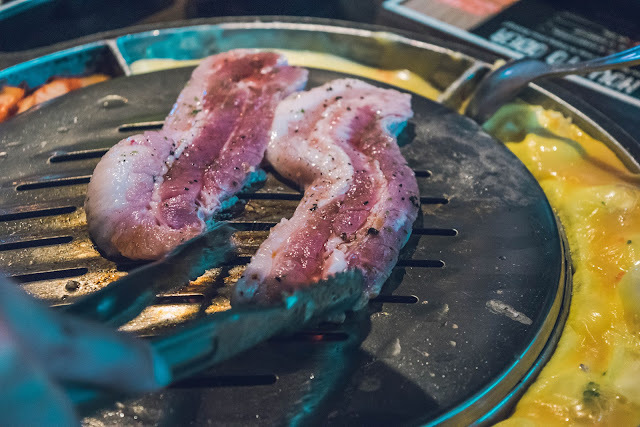 Eat the grilled meat first then the marinated grilled meat next. Of course you have to make your lettuce wrap with ssamjang to get the full experience. 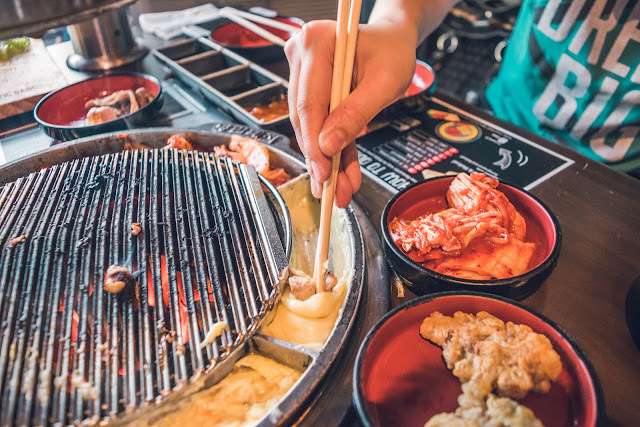 You may also add some grilled garlic and kimchi. When you're getting a bit full, order the must-have - rice! 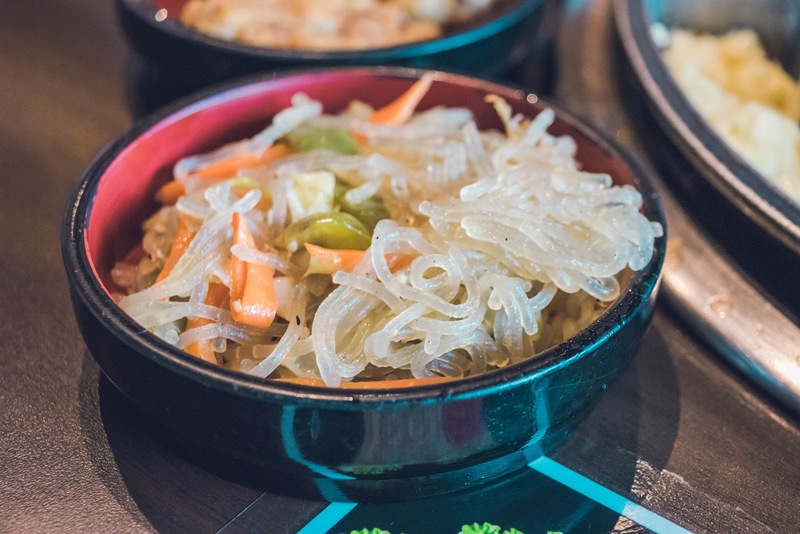 Finally, cleanse your palate with cold noodles (this is not included in Romantic Baboy's 499 peso unlimited offer; must be ordered separately). Their mild flavored Kimchi, which I think was supposed to be made specifically for Filipino's taste. 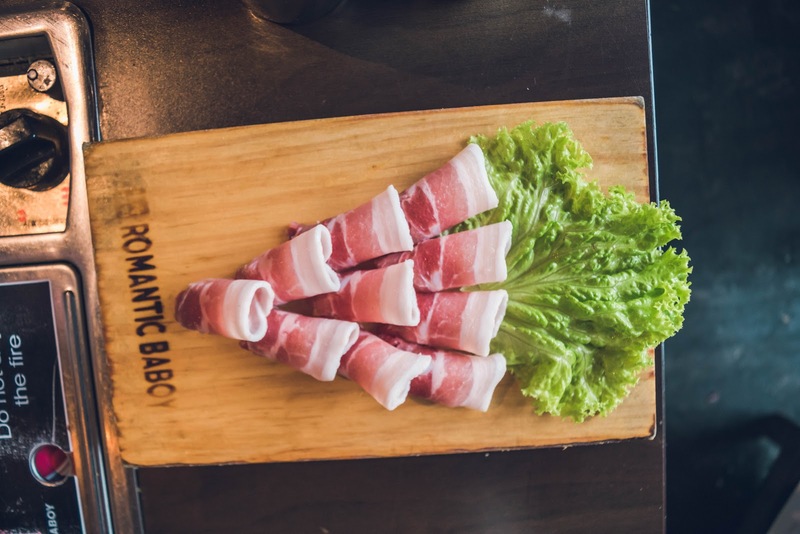 Unlike the usual Korean BBQ restaurant which offers samgyeopsal without seasoning or marinating, Romantic Baboy offers 8 types of pork and beef with their special herbs and spices. Made specially for Filipino palate, each type of pork and beef hits all the right things - a touch of spice, salt and sugar. Although the meats were marinated, they went so well with the side dishes. Personally, I loved the Spicy Beef, Curry Beef and Moksal. *that's where Romantic came from! Choose whatever pork or beef you fancy! It's unlimited! our table was supper busy, no? Unlimited pork and beef with lots of gooey cheese for only 499 pesos plus no-time-limit policy? Romantic Baboy for the win! Although it has gain a reputation for long queues that can last hours, the owners successfully opened other branches to manage the demand. My only concern was their system of reservation which was very manual and inefficient. This part could have been improved by the management. 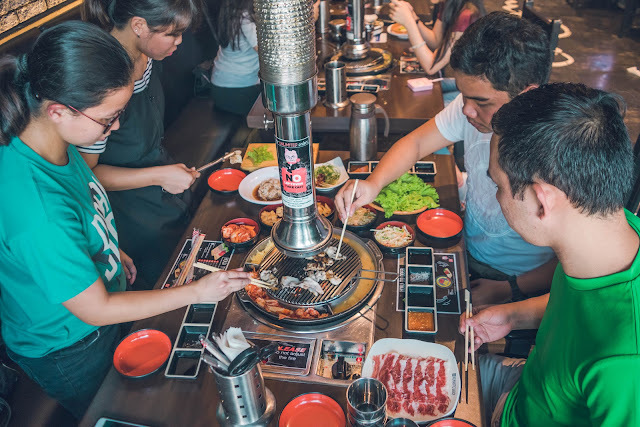 But overall, this restaurant has been my go-to place whenever I’m craving for Korean BBQ. 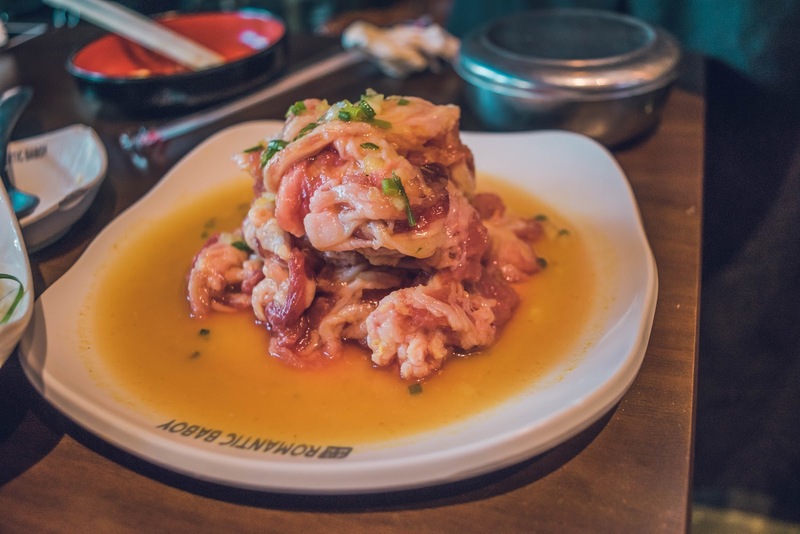 Have you tried Romantic Baboy? Let me know what you think in the comment section below!